You wake up in the morning to discover that you have been sealed into your home. The doors are locked, the windows are barred. There's no way out. A madman is playing a deadly game with you and your family. A game with no rules, only consequences. So what do you do? Do you run? Do you hide? Or do you die? Taut, quick, it carried me away. Inextricably linked with the fatwa called against its author in the wake of the novel’s publication, The Satanic Verses is, beyond that, a rich showcase for Salman Rushdie’s comic sensibilities, cultural observations, and unparalleled mastery of language. The book begins with two Indians plummeting from the sky after the explosion of their airliner, and proceeds through a series of metamorphoses, dreams and revelations. A woman searching for a sister lost at sea. A man bent on finding lost treasure. A mother who has lost all hope. A maniac who believes all life exists for his pleasure. The man who would keep them all safe. Together, they will all seek below the waves for treasures long buried, and riches beyond belief. But those treasures hide something. Something ancient, something dark. A creature that exists only to feed on those that would enter into its realm. A creature... of The Deep. For Ashley and her three friends, it was supposed to be an adventure-filled weekend. A chance to get away from the hustle-and-bustle of city life and experience the peaceful tranquility of nature. But when they ventured into those woods, their trip turned into a horror far beyond what they could have ever imagined. Because these four friends have wandered into the territory of the violent, grotesque Webb family. A group of psychopaths who have a taste for human meat. And they are hungry! There is no light at the end of some tunnels.... The New York subway system has:656 miles of track... 468 stations... 31 thousand turnstiles... and 1.64 BILLION fares yearly. For six of those fares, the trip is going to be one they will never forget. Six strangers will board a subway. But this subway is unlike the others. This subway doesn't take you where you want or where you need. It takes you where you fear. The isolated, maximum security prison for the criminally insane that houses some of the nation’s deadliest, most frightening psychopaths. But when a freak storm cuts off all communications and causes a massive power outage, the prisoners get loose...and find there is nowhere to go. The blizzard rages outside. The inmates are now in charge and the staff must band together to survive. 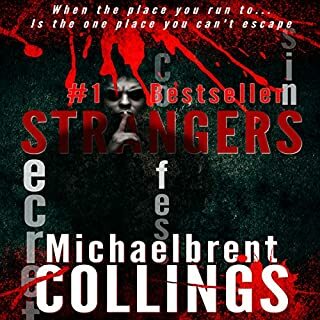 The Loon is a #1 Amazon best seller written by novelist Michaelbrent Collings, whose other best sellers include Darkbound, Apparition, The Haunted, Rising Fears and Billy: Messenger of Powers. What made the experience of listening to The Loon the most enjoyable? I enjoyed the narration and thought the performance was well done. Engrossing story. What other book might you compare The Loon to and why? I've read Collings' "Darkbound" and first three installments of "The Colony" series. While there was still a speculative element in "The Loon," the horror in this particular story was more real-world than fantastic. I'm not sure I've read/listened to anything else quite like this before. Which character – as performed by John Bell – was your favorite? The Monster passages had cool effects and were my favorite to listen to. Paul, Rachel, and Becky were the characters whose points of view I craved most to return to. Steiger was also extremely creepy and well done. There were a variety of accents that came through in various minor characters that I thought were well done. 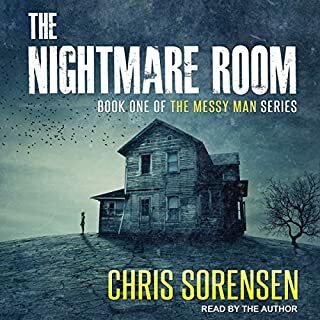 Narrator did a good job making the unlikable characters unlikable, and the likable characters sympathetic with tone of voice, accents, and other effects. I found this book very intense and enjoyed it much better when I digested it in small doses, listening a few hours at a time. Yet, it was extremely engrossing. THE LOON is just another shining example of why Michaelbrent Collings is one of my favorite writers working today. I have to state up front that I have a soft spot for stories about mental institutions. But even given that, this book instantly sucked me in and kept me along for the ride. 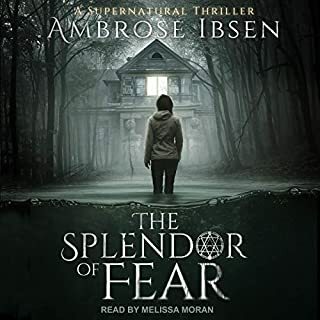 I listen to audibooks in the car on the way to and from work and kept finding myself sitting in the parking lot for ten minutes after I'd parked just because I didn't want to pause the book. The voice over actor's voice got to me initially, which would be my only negative criticism. He had a strong voice but felt more like a commercial announcer at times than an audiobook reader. However, I quickly found that setting the Audible app to 1.25 speed corrected any issues I was having. I highly recommend playing around with the speed function on the app, not just for this book but any book you may be listening to. I usually find that most readers are a tad on the slow side for me anyway and so this function is a godsend. The only bad thing about the book is that it ends. Without giving anything away (the joy of reading, at least for me, is the joy of discovery), I can say THE LOON is a terrifying, unflinching thrill ride that you will have you gasping for air - and then asking for more. I can't wait to check out the author's next book. Okay, I'll admit that I'm a sucker for a creepy setting, and an isolated, snow-bound madhouse offers plenty of that. 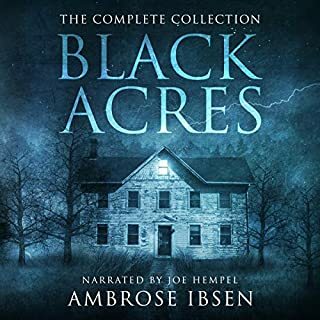 The setting is very much a part of the story, and its effective use by the author, along with a collection of characters we can identify with (or at least recognize) and care about, contributed greatly to my enjoyment of the book. Not all of the characters are likable, by any means, but I enjoyed them all, and often, I was a little suprised wihen some of them (no spoilers) were killed, even though I'd been expecting it. "The Loon" is a fun, unashamedly B-movie of a read, with equal parts mad-science horror and psycological terror. This was a quick, satisfying listen. Like a movie in my mind? Where does The Loon rank among all the audiobooks you’ve listened to so far? It's up there, I really thought that the extra sound effects and effort in making it creepier definitely added to it's appeal versus a more straightforward telling. What was one of the most memorable moments of The Loon? The power outages were probably the most memorable moments because they had immense effect on nearly every character and each time something changed with the power grid you knew that the tide of things had altered with it as well. What does John Bell bring to the story that you wouldn’t experience if you just read the book? He brings a personality to the characters and a level of emotion that would be unreachable with just the print version. There was also some great sound effects that were throughout the story that would've been absent in the book version. 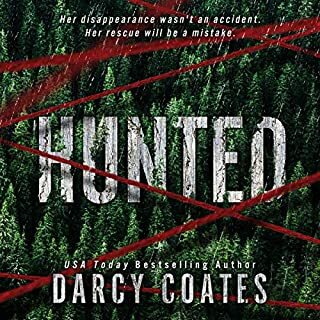 It was very entertaining, and while at the beginning there is a level of not really knowing where the book is going to go, it was dispelled rather quickly. Collings just brings a lot of disparate people together and that's where the weakest portion of the story is, but once they're there he brings out the fear. The only reason the performance is 4 stars instead of five is some of the accents for the characters are a little iffy. I understand that there were a huge number of characters, but Hip Hop's specifically took me out of the moments while enjoying it. Regardless of those two things, I greatly recommend this in either audible or ebook format. 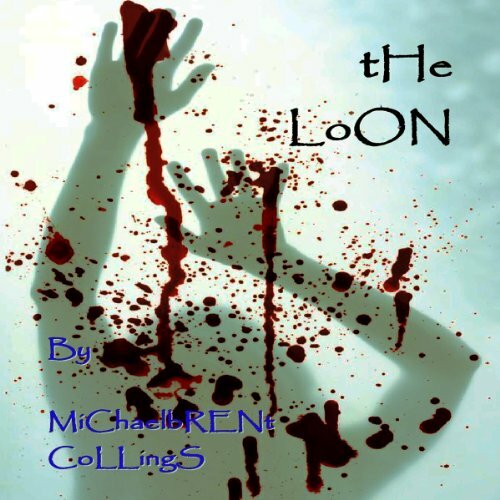 Michaelbrent Collings writes fantastic books and The Loon is one of the best. If you like heart pounding thrill rides, this one is for you. And the characters are well written to the point that you really care about them and bite your nails down to the knuckles worrying about them. Once it grabs you, it never let's go. Recommended as are all of his books. The Loon is a tense, violent tale with characters who work well in this type of action based story. The Loon has a some unique twists, but essentially follows the familiar and scary horror trope of a varied group of people trapped in an isolated location with a monster. The Loon of the title is a psychiatric facility. The author did an excellent job creating an atmosphere of impending crisis and isolation. The escaped serial killer was well drawn and there were several tense scenes involving him. The sense of inescapable horror infused the entire book. 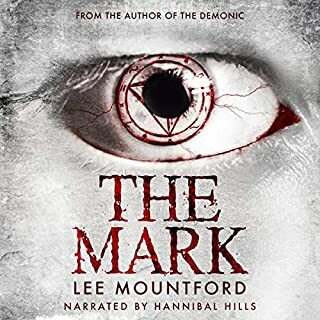 I'd recommend this for readers who enjoy monster based horror. Would you listen to The Loon again? Why? Yes I would listen to it again! Have you listened to any of John Bell’s other performances before? How does this one compare? This is the first one I heard from John Bell. If you could take any character from The Loon out to dinner, who would it be and why? The psychotic killer of course. I work in psych ward so going out to dinner would be nothing new. Great book, you should give it a try. You wont regret it! There is nothing thrilling, terrifying or page turning in this book. The story itself is extremely lame. But what is terrifying is the narration. I struggled to finish this. The narration started off horrible. Way, way over acted. I've actually started this book three times but could not stand the first chapter. since I was past return date I decided to give it a 4th try. I made it through, but it was suffering the entire way. The same things happening over and over throughout the story just made it seem to go nowhere. The last chapter was just as overrated as th e first. I was glad when it was over. I'm not sure if a different narrator could have saved this book though.